Welcome to the Megabus complaints department brought to you by HissingKitty. Experienced poor customer service? We make it easy to file a formal complaint against Megabus online. Simply use our free form and your feedback will be instantly forwarded for review. Need to contact the Megabus corporate office? We have the mailing address, phone number, and email address listed below. Departure from Miami Intermodal to Orlando, Florida @ 0800 am. The bus was hot and uncomfortable with non functioning air Conditioning. I had booked a trip from Atlanta to Philadelphia and for starters the bus leaving Atlanta was over a hour late then when we arrived to Washington which I was suppose to have a two hour layover we were late getting there and that bus left. We were put on another bus that was going to Philadelphia but one of the stops were in Baltimore we get to Baltimore only to be told we have to get off the bus cause it’s overbooked and have to wait on another bus! That’s unacceptable I literally had to have some one come from Philadelphia my actual destination drive to Baltimore to pick us up I paid money and didn’t get my full service and the workers were very rude. I called customer service and they were rude and basically told me sorry for the inconvenience I do not want another ticket for another trip because I will never ride a mega bus again and to continue to get bad service as if being told to wait outside in the middle of no where in Baltimore wasn’t bad enough! To treat people like that and you have our money is not right something needs to be done! My travel from Bristol to Carmarthen. Bus arrived to Bristol bus stop after 1:15 H delay. I asked about my change in Cardiff weather next bus is going to wait or not the answer was hopefully. Last night on 11/25/2018 I brought my daughter to her bus terminal located at the Albany SUNY College where she was to board her Megabus at approximately 07:30pm. I am her father and I have obtained a copy of her bus ticket information to provide proof. We arrived at the terminal on time at 07:15pm and right away had noticed a large group of passengers waiting for their Megabus only to find out they were supposed to be picked up one hour prior for the 06:45pm scheduled pickup and they had indicated to me that they were still waiting for their bus to arrive. No one there was given any indication on their cell phones regarding any late or delays. What I noticed on a CDTA bus that was parked near the area where I and my daughter were waiting was a smashed upper right corner of the CDTA bus windshield damaged. There was campus police there too investigating the accident scene that must have occurred prior to the terminal because the Megabus that was involved was parked idling further away at the same terminal and had no passengers on this bus due to the damage that was involved with the CDTA bus. The side of the Megabus drivers side appeared to have a portion of the bus body panel severely damaged from the CDTA bus front right mirrors. What really bothered me here is the fact that when I finally approached the driver of the damaged Megabus to ask him where or what Megabus is my daughter to be put on so she could get back to her NYC Fashion College, he told me he was talking with his dispatcher and that the company was leasing out the busing service to another carrier. When he told me the Accord Coach Bus was the one that everyone was to get on, I told him that the Accord Bus was parked several hundred yards away from the actual group of passengers standing in the frigid cold waiting. This bus driver of the Megabus appeared to be upset because he was involved in an accident with the CDTA bus and I can understand his frustration, however he never approached the crowd of people because I literally had to go out of my way and walk all the way to his empty bus and ask what was going on and I even spoke with the campus police. By now it was after 8pm and now the group of passengers were doubled because there were the 06:45pm and the 07:30pm passengers all trying to get on any bus. When I looked where the Accord bus had parked, this bus was so far away from the crowd of people waiting just as was the damaged Megabus that by the time we realized that the Accord bus was the bus everyone was supposed to board, that Accord bus left and drove right past the entire group and literally drove away having no passengers picked up on it because it never parked in front of the area where the 06:45pm passengers were standing. After the Megabus driver told me the Accord bus was the bus everyone was supposed to get on - I told him to tell his dispatch to get that bus back to the circle area and turn around and pick these people up because I said that Accord bus literally was empty. I couldn't believe how screwed up the entire situation was becoming and it was late and cold and my daughter had to get back to her college for Monday classes. My daughter has told me too that her Megabus is ALWAYS at least 1 hour running behind for the past 4 times she has used the services. That is not okay with me and I want someone to compensate my daughter and I for these errors or not notifying us when the bus is behind schedule. Finally after the damaged Megabus driver heard my telling him about the group of people that never got picked up, he within moments told everyone standing in the group to board his bus. This entire time he had no clue that these people never got picked up if it wasn't for my approaching him. He should have backed the bus up to the area and instead made everyone have to walk all the way back to where he was parked. He was not only unaccommodating, but he said something to the crowd about he was doing us all a favor. I was like are you kidding me ? We the customers the ones paying for the tickets are making it so the bus driver has a job. Since when does a bus driver indicate to passengers about favors ? Whats even worse, upon loading all the baggage, the driver never helped us and I had to load my daughter bags and I was actually helping all the other females who were left on their own loading the luggage into the cargo hold area. It was a mess and ridiculous to say the least and no organization at all. I couldn't believe that any bus company allows passengers to not only load their own bags but furthermore be able to go inside the cargo area. That's the job of the bus driver, not the passenger to have to do this. What happens if a passenger gets hurt or trips and falls on the step inside that cargo area loading their bags ? By the time my daughter finally got on this damaged Megabus and I helped to get her seated, it was going for almost 9pm. I understand an accident happened and the delay from that, however where is the electronic communication to notify the passengers of the change or the right bus to board when the either the Accord or the Megabus doesn't park near or close to the passengers waiting ? My daughter sent me a text last night when she finally got to her dorm at it was practically 12am. Absolutely uncalled for and totally irresponsible on the part of the Megabus company and the driver for not better assisting the passengers with proper direction and helping to load their luggage in a more professional conductive manner. No one could hear what the bus driver was saying outside to the crowd as he talked low and stood near the engine of the bus. Only the people standing in the front could hear what he was saying. I even spoke up and told him we cant hear what you are saying please speak up. It was like he just ignored the people telling him we couldn't hear him. He needed to use or have a megaphone or p.a, mic speaker or something other than his voice. I have attached a photo image of my daughters ticket along with a photo of her standing outside waiting at the Albany SUNY bus terminal last night. I saw what the damage on both the CDTA bus and the Megabus too. I don't understand how 2 buses and their drivers could be so negligent in not only creating such a chaos of delays, but never instructing any of the passengers waiting for more than 2 hours for some direction. I am requesting my daughter and I be fully compensated for this and I am demanding an explanation to what needs to be corrected so this situation does not happen anymore. The weather was dry, clear and no rain or snow regarding the travel conditions. The winds were light and the weather was calm and cold, but very dark. The bus was suppose to arrive at 12:05 am n fay on 7/27 we left hour n 20/25 minutes late had to board through the front he forgot to open the back,passengers played loud music on top cursing loud,bathroom smelled bad all way on top,trash ever were,seat broken,ride was rough like he was hiting the shoulder.I have road plenty times first time u could smell dope every were next time it rained on me the back top right side Friday night every stop the boy got off n smoked so he had it on the bus with him.This my first time complaining payef to go back now I am trying to go back early to avoid the same people n I always pay for round trip.Don't feel like I should pay to come back early n loose my money I already paid,something needs to b done.Contact me before Wednesday please r I can assume u don't read the complaints.I am a loyal customer n still tell people good things bout the bus line. False advertising was rampant for my Megabus trip from Las Vegas to Phoenix. The bus was late. There were no electronic plug-ins. There was no WiFi. There were no seatbelts. This was a big concern since I had my 3 grandchildren ages 5,6,and 9 with me. We were advised that yes there was a bathroom on the bus but were encouraged not to use it especially if we had to go #2 since the smell would spread throughout the cabin. 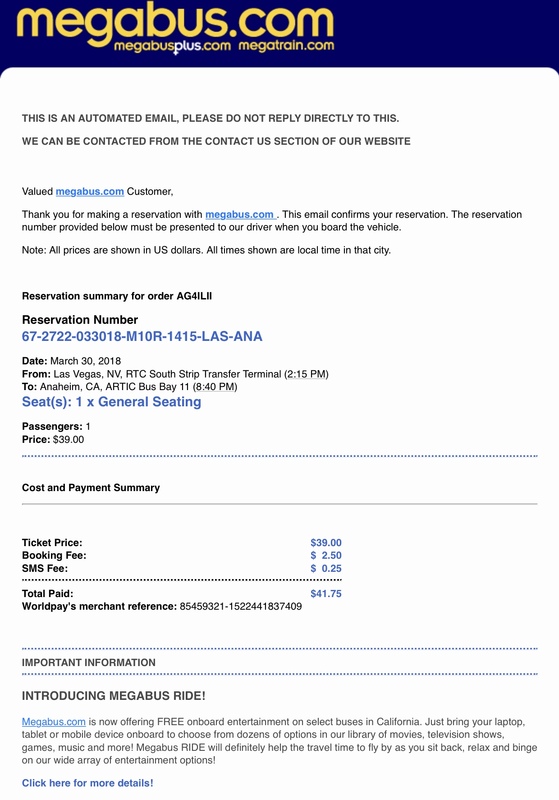 I had called customer service since the time from Phoenix to Vegas was about 5 1/2 hours but the trip back was advertised to be 7 1/2 hours long. No explanation could be given. I had called for help about parking the car in Phoenix for my week long visit to Vegas. The Rep was rude and finally told me that if I had no other questions on other topics then he had other customers to help. My bus never showed! It was scheduled to arrive at 2:15 pm. I was there before that. Contacted customer service and was told that the bus was running late and should arrive 2:26 pm. Again, the bus never showed. Called customer service again and was told now that it would arrive 2:52 pm. The bus did not show! Contacted Mega Bus customer service and was allegedly told that the bus departed at 2:24pm? I was refused a refund. I was lied to and lost all of my money. This began on January 17, 2018 when the trip was canceled due to state of emergency. I then had to reschedule the trip for January 18,2018. On January 18, 2018thebus arrived almost an hour late. My concern is that the only compensation for this was a 100% cover for another ride within a year. That does not help as I do not use megabus often. This was a one time trip and a poor experience. I spoke to a supervisor by the name of Chantelle roughly around 9:35am today who advised that there was nothing more that she could do. I am seeking for full refund if possible to compensate for the inconvenience of this trip. My trip #AGV7OYQ was canceled leaving from Columbia,South Carolina to Washington, DC. She was very rude, not compassionate and very disrespectful. She told me that the trip had been canceled and I was notified via email. The problem is that it would have been courteous of Megabus to call shortly after I booked my ticket. And to get the worst customer service at 3:00. How would she have felt if the shoes were on the other feet. You should train your reps to be courteous and should recommend that they provide resolutions to the problems instead of directing me to my email for my own resolution. For that alone because you have piss pour customer service, I think that Megabus compensate me in some way for my satisfaction. Something needs to be done. Megabus you were at fault in this one. I have used Megabus very often over the past few years and I had been very pleased with the service. I AM NOT PLEASED NOW. Today I received an email that Megabus cancelled my return bus trip from Pittsburgh on October 23rd. I had purchased this ticket on July 21st. This has put me in a terrible position. I made a lot of plans around that departure time. I rented a car, and the car drop off location closes at 6:00pm (and so the alternative "later bus" is not a viable option; nor is the previous day bus because the car drop off location is not open on Sunday). If I change to a Greyhound bus (leaving around the same time as the bus you cancelled) it will cost me $35 plus booking fees. And -- to add insult to injury -- I was told on the phone today that Megabus won't refund the $2.50 booking fee that I paid (they'll only refund the $10 cost of the ticket). This isn't a very good way to treat customers. Had I booked the Greyhound return back in July it would have been cheaper (and I would have booked the Greyhound return -- then -- had I known that Megabus wasn't going to offer a 3:15pm bus back to New York). I am not happy. And it is going to be difficult for me to trust Megabus bookings in the future. see above in the rating area. 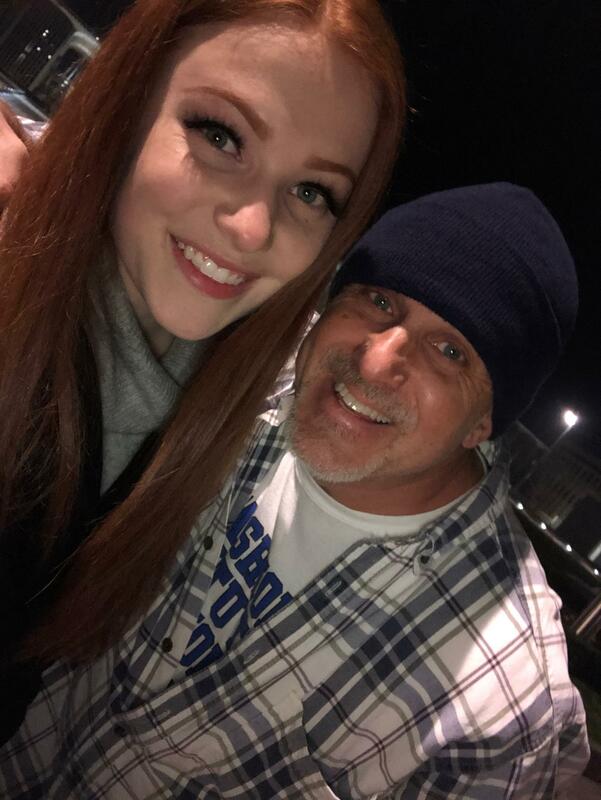 My daughter and her boyfriend caught the megabus from Des Moines, IA to Chicago and then from Chicago to Nashville, I haven't seen my daughter in 14 years. They were suppose to reach Nashville this morning (12/17/2016) at 10:10 a.m. I was informed that they were going to be delayed 6-9 hours due to a traffic accident. They were detoured and now they are stuck in Indianapolis and it is unclear as to when they will reach Nashville. I have already purchased their return ticket back home and now it seems pointless that either of them to have made the trip. He will get a refund but I was told I would not since it didn't purchase the tickets down to Nashville. I feel that I need to be compensated also for this inconvenience and emotional turmoil it has pul me through. I will never book with Megabus again after this experience. When I called Customer Service I was basically told tough luck. When I spoke to my daughter when they reached the Indianapolis station they had been stuck on the bus for 15 hours with no chance to eat and were almost not allowed off the bus to get something to eat. I am just livid at the level of customer care that this company has displayed. I feel cheated out of my time and my money. Spoke with 5 different Megabus operators in an attempt to change reservation. Information was misleading and conflicting. While speaking to the 5th operator I was then told that there were no seats available although empty seat numbers were mentioned previously in phone conversation. Asked to speak with a manger and placed on hold at that time. After about a 2 minute wait, I was then told that there was no manager available and to call back in 30 minutes. Needless to say, when I called back in 30 minutes the office was closed. We were forced to keep the same reservations and pretty much stranded for a day. I paid for a trip from Indianapolis to Chicago at 2:35 am on September 10. But the bus didn't come at 2:35 am. I thought the bus was late. So I still waited there until 3:30 am. But the bus never showed up. I waited in the dark for another hour after when the bus should have come. It was very dangerous. I called the customer service but as it was 3:30 am no one was working. I had to take the Greyhound bus to Chicago. Thank google map with which I could find where Greyhound station was and I walked there in the dark alone. 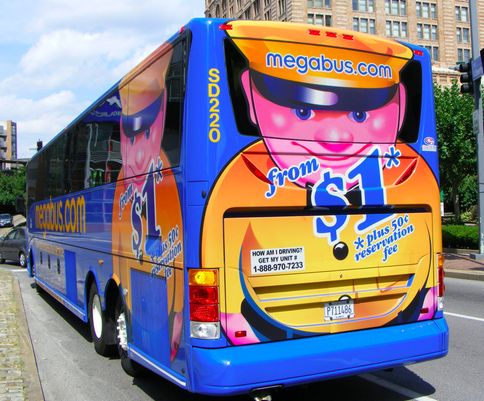 After I got Chicago I called the megabus customer service three times about my experience. The first time I was told that no refund. The second time I was hung up while I was speaking. The third time I was told I had to email megabus. I emailed Megabus and got a response 5 hours later telling me that the total amount of delay time does not meet the internal compensation policy. So it is reasonable for Megabus to charge their customers but let the customers wait there for a bus that will never come. So I deserve the wait for nothing? So my money and time and safety should be wasted? To whom it may concern my bus was cancel on January 17 at 11:55pm. On January 18 I purchased two more tickets January 18 bus at 11:40 p.m then on the way going the bus broke down and then they brought another bus. There was no heat on the bus was so ever me and my grandson got sick. So January 17 two tickets went the waste so I have to buy two more extra tickets. So, what are you guys gone to do to solve the problem? Please contact me. My children and I chose to ride the Megabus for our trip to Lexington Ky for thanksgiving, and had the very worst experience for our first time riding mega bus. It started off bad having to wait in the cold rain with my newborn baby and my other two small children because the bus arrived over thirty minutes late. It was suppose to depart at 10:55 am and pulled up at 11:28 am and we didn't leave till 11:42. Then once leaving not even riding a good thirty minutes we stop for what was suppose to be a gas fill-up and wind up waiting there and being delayed for an hour because the Megabus driver said the gas card was declined several times. Then the whole time riding on the top layer of the double decker bus there were rain drops falling in on me and my children constantly from on top of the bus which was bad for my newborn baby and the rest of us to have to experience. So on top of having to endure all of that we didn't get to our destination until almost three hours late past the arrival time, we were due to arrive in Atlanta, GA at 6:45 pm and didn't get there until 9:00 pm. So I am very upset and disappointed with my first time trip with mega bus and would like to have my refund back for the unsatisfying experience my children and I had to endure. Also the very late departures and arrivals as well. Next, I will be registering my feedback with the Megabus corporate offices. On October 2nd my money was non- refundable because my brother who stays in Nashville,Tn missed his bus because I was not told that the megabus had a new location the problem here is that I am the purchaser and have never been to Nashville so I do not know the addresses down there when I told my brother that I made the reservations he assumed that this was at the same location just as I did and the other 8 passengers that were there also not to mention that the new location does not have a physical address I had to call back to see where this location was and in my email with this new location it does not state the address is the Musician Hall so clearly I would like my refund back because I was not told of a new location I live in Milwaukee the representatives I spoke with were rude and did not allow me to talk to a supervisor something needs to be done about this. My travel was from Oakland to Los Angeles and I chose Mega bus for this. Mega bus was very comfortable to travel in and I enjoyed the trip. The seats were comfortable and spacious. The bus was on time and the driver was alert throughout the journey making is a safe one. The bus was kept clean and tidy and they had stopped for refreshment keeping passengers requirement in mind. My luggage was kept safely. The drive was smooth and I reached LA on time. 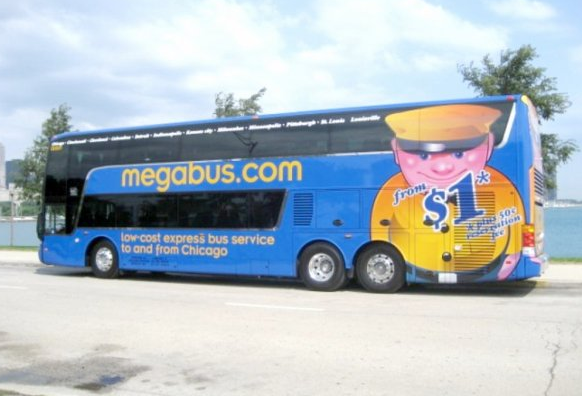 Mega bus gives some options on their websites on accommodation which I think would be a suitable choice for many customers for their travel.Megabus is a good option if you want to travel by bus and enjoy a smooth drive.